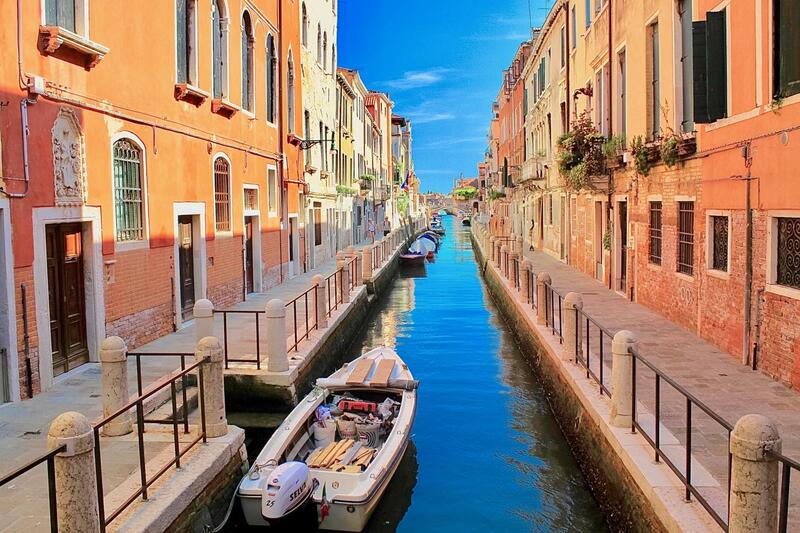 Byzantine Venice & Gondola ride: combined city tour! 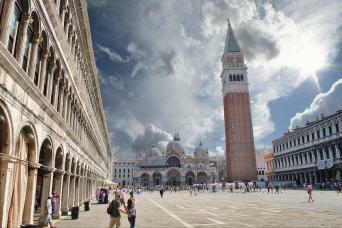 A city tour that allows you to discover the most important historical places and buildings of Venice. This tour is divided into three parts. From a centrally located meeting point you will be lead by a professional guide through the most characteristic places around the areas of Saint Mark's Square and Castello. After this one hour and 30 minute walk, you will enjoy a view of the city from the water, on board a Gondola. Finally, you will visit the interiors of Saint Mark's Basilica, discovering the Byzantine history, the Golden Pall (Pala d'Oro) and the glittering mosaics. 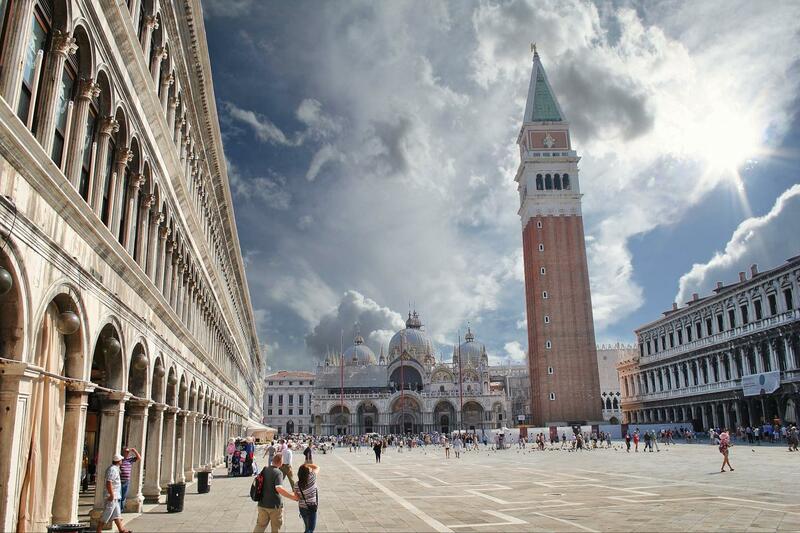 The tour starts with a historical introduction in St. Marks’s Square, and its architectural delights, allowing you to discover the history of the Doge’s Palace, once the seat of the power of the Republic of Venice, and the surrounding buildings. 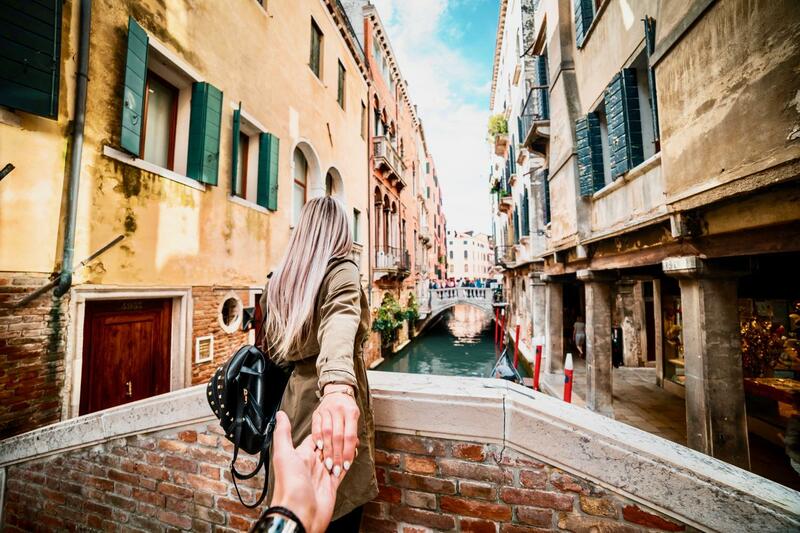 Leaving the square, you will be guided into the residential Castello area, allowing you to discover this part of Venice in all of its elegance, through its labyrinth of narrow alleys - “calli”, many bridges, winding canals and wide picturesque squares - “campi”. You can expect to discover the Santa Maria Formosa Square, one of the largest squares in Venice with its church, named after its visitation of the Holy Virgin; The Saints Giovanni and Paolo Square where you will be able to admire the famous church, the resting place of several Doges, and the equestrian monument of Bartolomeo Colleoni, an Italian mercenary Captain. The former residence of Marco Polo, probably the most famous Venetian merchant and the Malibran theatre are also part of the itinerary. After the walking tour, you will need to make your way to Saint Moisè square, the landing stage of the famous venetian transportation, the Gondola. Relax aboard this historic vessel, enjoying the thrills of both the Grand Canal and minor canals. 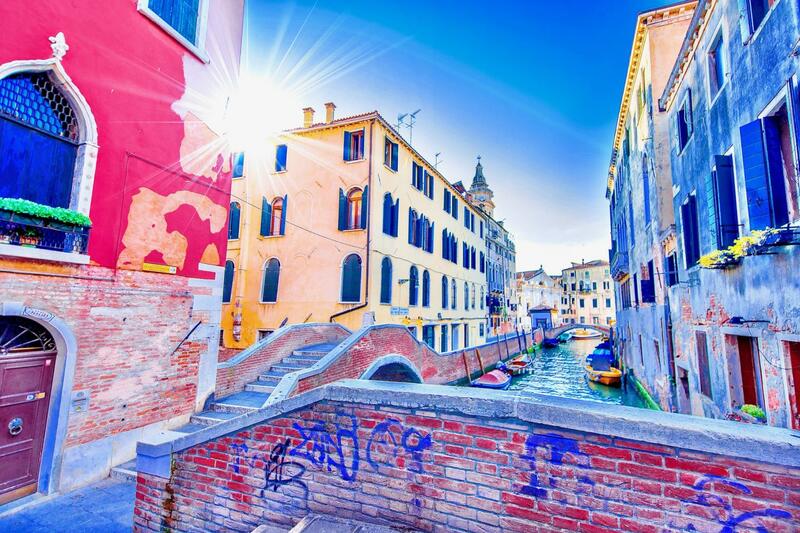 Admire Venice from this amazing point of view, witness its magnificent architecture, and whilst gliding under its bridges, discover secret entrances to the elegant palaces and hidden corners. The gondola ride is not a guided tour.Once disembarked from the Gondola, you will need to make your way back to the original meeting point, to then be accompanied to the Basilica, once the private chapel of the Doge of Venice, and the only one of its kind in Italy, thanks to the sumptous golden mosaics and impressive marble inlay flooring. During the tour you will be able to sit down in the church and absorb the atmosphere whilst listening to your guide who will describe the biblical scenes represented throughout the building, together with history and particularities of this ancient Basilica. The tour includes the visit of the famous Pala d'Oro, an altarpiece made of gold and silver and an exquisite example of Byzantine art with a myriad of gems and precious stones. This 3 hour combined tour concludes outside the Basilica, in Saint Marks Square. Admission to the upper floor of the Basilica. 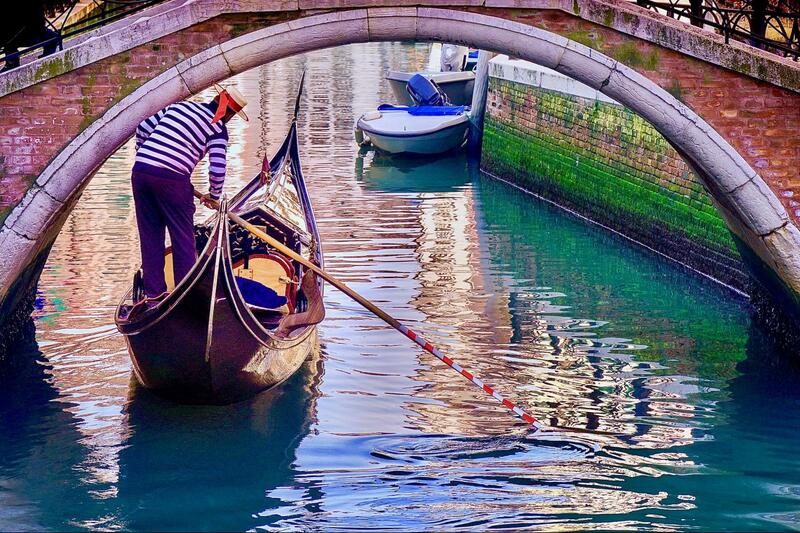 The tour will not operate in the event of bad weather, high tide or gondoliers' strike. 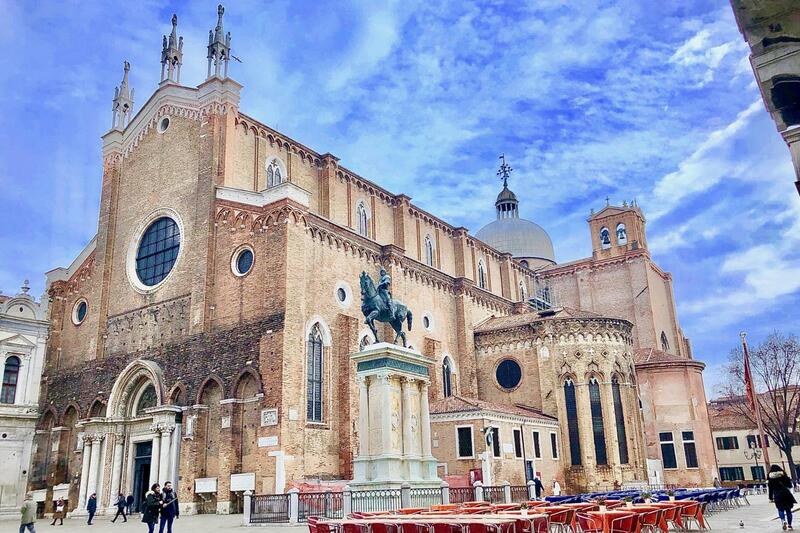 External walking tour: St. Mark's Square, Saint Maria Formosa Square, Saints Giovanni and Paolo Square, Marco Polo's House and the Malibran Theatre. Gondola Ride along the Grand Canal and the minor canals.